This entry was posted in Spiritual books for kids (and moms). Bookmark the permalink. What a beautiful piece, Ginny! 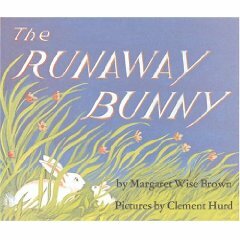 Thanks to your post, I dug through the shelves and found this book again–the night before my son started Kindergarten. We hadn’t read it in a couple of years, but the message was perfect before his big day. To be honest, I hadn’t thought of it as a spiritual book before, but now it clicks. Your interpretation literally brought tears to my eyes–thank you. Aww, Rachel, I love the image of you reading this story with your little guy. Thanks for the comment and big hugs to you!